Marcie Ducasse writes the Weird Happenings column for Roaming New England Magazine, which focuses on stories of the supernatural that occur in New England. She researches reported strange happenings and conveys them to her readers. It usually turns out that the events were performed by all too human perpetrators, although occasionally a supernatural element remains unexplained. In the case of the Black Dog, a small black dog suddenly appears out of nowhere in the mountains and then disappears. According to the legend, whoever sees the dog three times dies. When a Wall Street financier, who is about to be indicted for embezzlement, sees the dog three times and then falls off a cliff, Marcie is quickly on the scene. 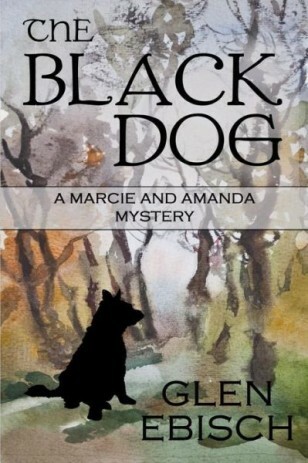 She soon finds that many of the man’s acquaintances are all too happy to see the victim dead, and it soon becomes obvious to Marcie that determining if he died due to human agency or the curse of the Black Dog will not be easy.